The proposed state budget unveiled by Gov. Corbett would allow for some increase in basic education aid, more funding for early childhood education, and a new block grant program that hinges on privatizing alcohol sales. "My budget works to provide our public schools with enrichment funding to help them achieve academic excellence at all grade levels," Corbett said in his address. Legislative Democrats, union leaders, and some education advocates said the new spending plan would not undo the damage done by previous cuts - nearly $1 billion two years ago. Some accused the governor of using education to try to unload the State Store system and get pension reform. Among the highlights of Corbett's proposal is a $90 million increase in basic education aid, bringing that funding to $5.5 billion. Overall state support of public schools would be $9.8 billion, compared with about $9.5 billion last year, according to Education Department spokesman Timothy Eller. Early childhood education aid would increase by $11.4 million, or 3.4 percent, according to Eller. He called for level funding of $100 million for the Accountability Block Grant program, which many districts use to fund full-day kindergarten. Last year, he wanted to cut it. The budget also calls for the creation of the Passport for Learning Block Grant, which would channel about $1 billion to schools over a four-year period for school safety initiatives, individualized learning, enrichment for elementary reading and math, and improving science, technology, engineering, and mathematics programs. The funding hinges on the legislature's agreeing to privatize alcohol sales. Ron Tomalis, state education secretary, praised the "historic level of funding into public education." Joan Benso, president of Pennsylvania Partnerships for Children, said the budget "begins to move Pennsylvania in the right direction." Joseph Watkins, state-selected, court-appointed receiver of the Chester Upland School District, said Corbett's proposed spending plan "shows he cares about the students." 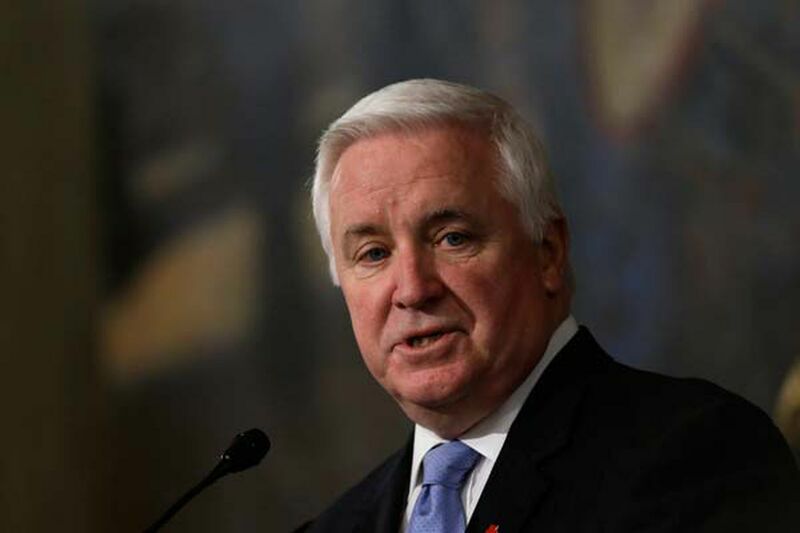 Philadelphia schools chief William R. Hite Jr. said the district appreciated Corbett's "effort to increase funding" - it will get about $15 million more in basic education funding, an increase of about 2 percent overall in state funds. Still, "the district's financial reality remains bleak," Hite said in a statement, and $15 million doesn't help nearly enough. Many others were sharply critical. Donna Cooper, executive director of Public Citizens for Children and Youth, said roads fare better than children in Corbett's budget, and called the spending plan "a status quo budget that fails the test of helping kids." State Rep. James Roebuck of Philadelphia, Democratic chairman of the Education Committee, said Corbett's 1.7 percent increase for basic education amounts to flat funding given inflation, "and to add insult to injury," some wealthier districts would get larger percentage aid increases than some poorer ones. Both the Pennsylvania State Education Association and the Pennsylvania American Federation of Teachers (AFT) blasted the proposed budget. The plan would not stabilize school funding, said Rosemary Boland, vice president of the state AFT. "A fire sale of liquor licenses and defunding school and state employees pensions are no way to finance world-class schools and college," Boland said. Educators said the proposed block grant would be suitable to pay for one-off expenditures but not for ongoing ones. Timothy Wade, superintendent for the Jenkintown School District, noted that sale of the State Stores had been proposed before. Currently drafting his district's next budget, Wade said he did not feel he could count on the promised aid from the sale of the state's liquor stores. "I need a stable funding source so I can make plans for the future and educate kids," he said. Contact Rita Giordano at 610-313-8232, rgiordano@phillynews.com, or on Twitter @ritagiordano. Inquirer staff writers Amy Worden and Kristen A. Graham contributed to this article.